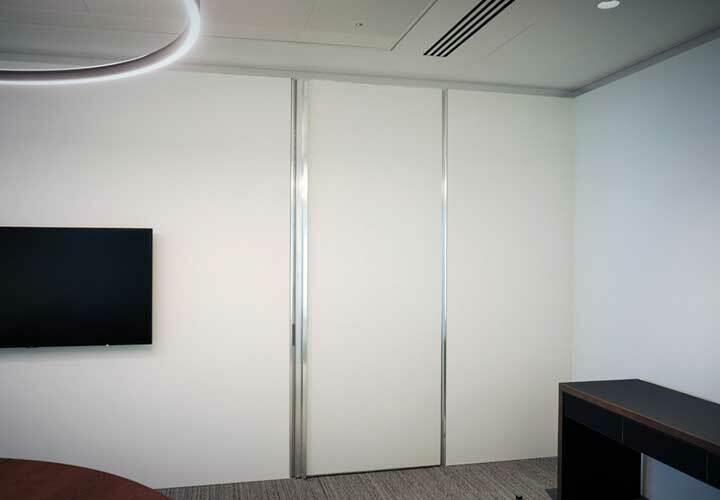 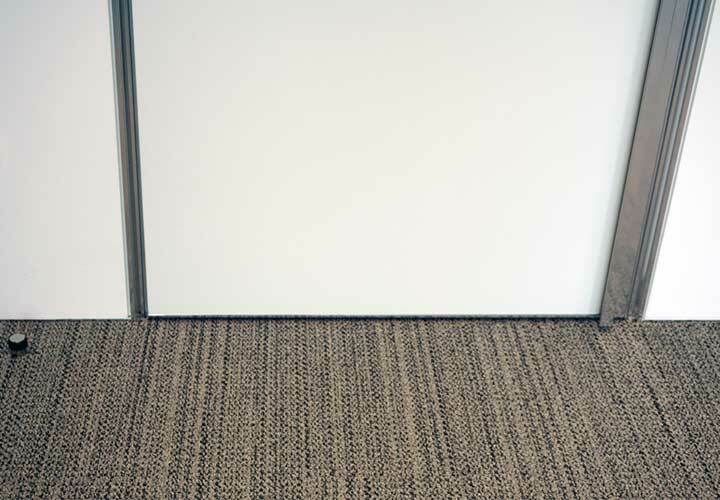 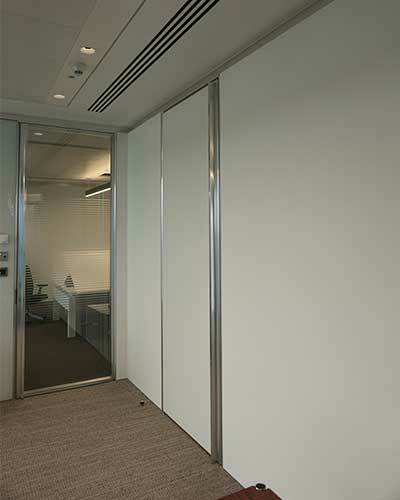 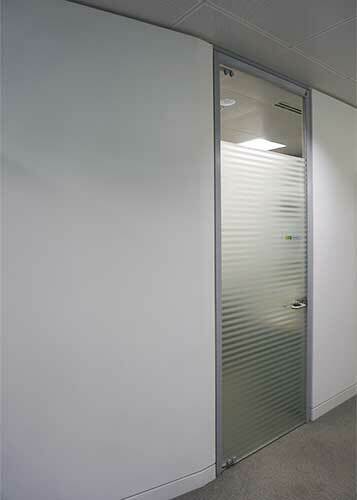 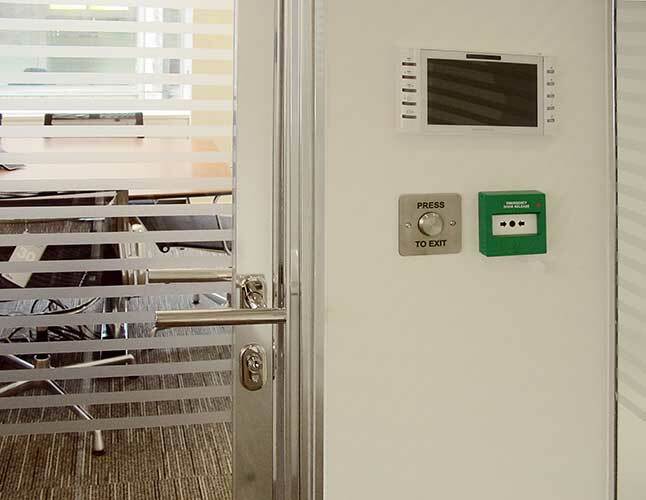 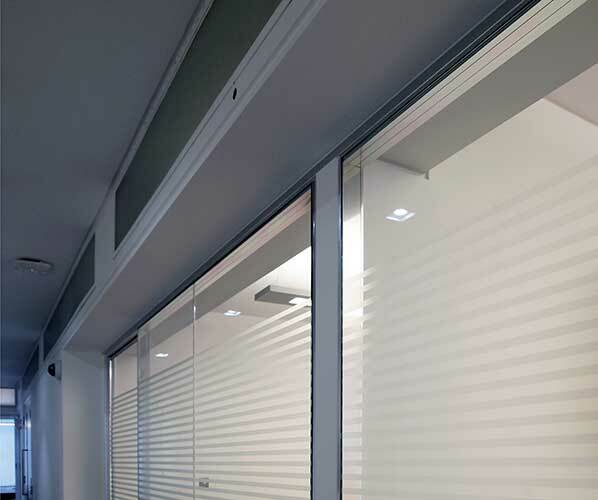 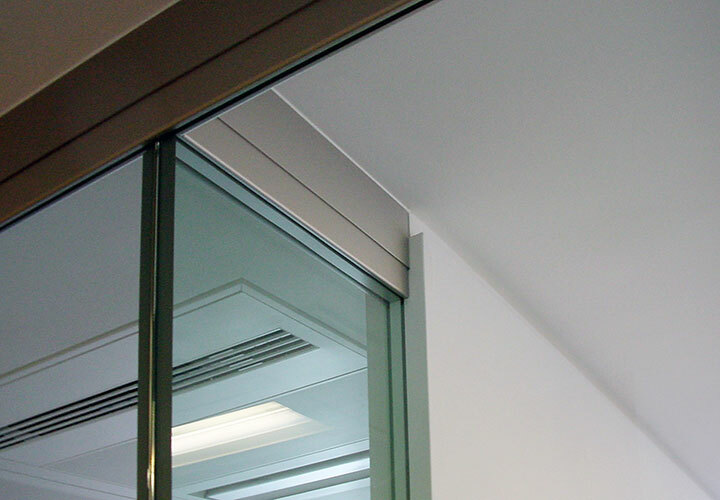 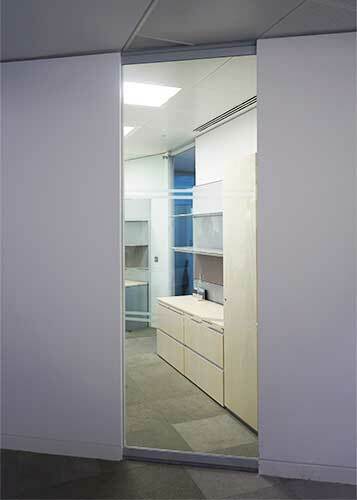 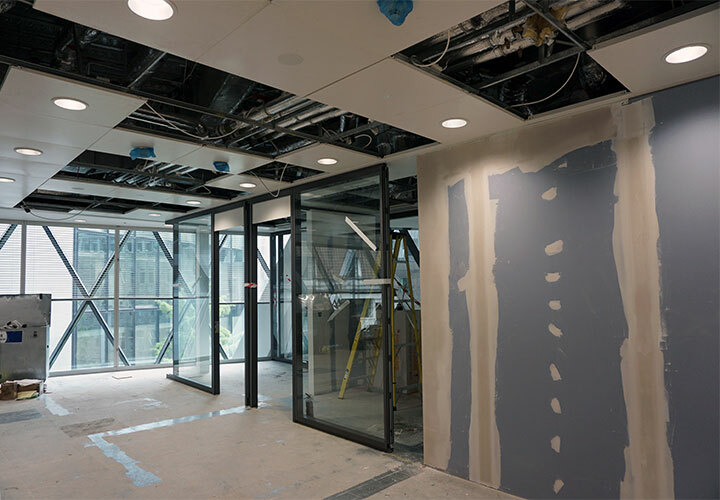 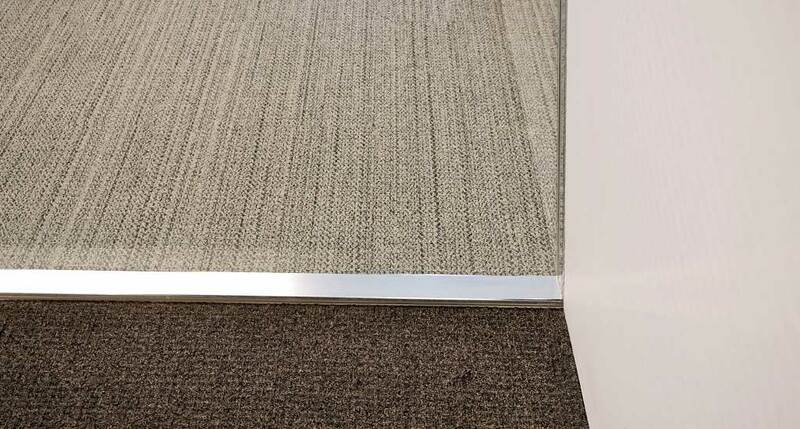 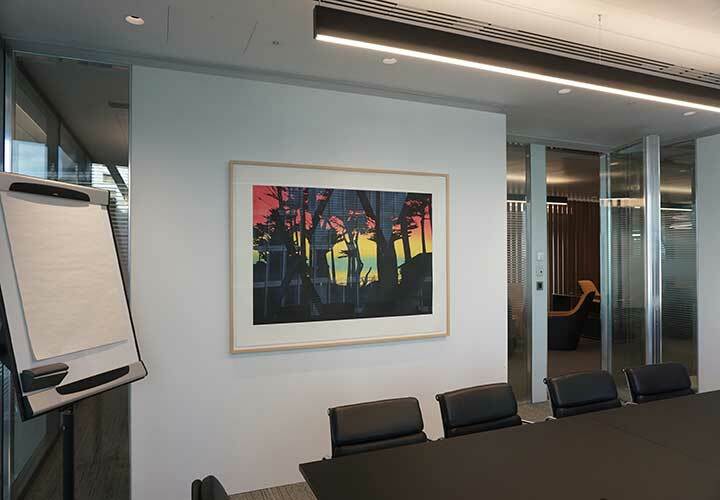 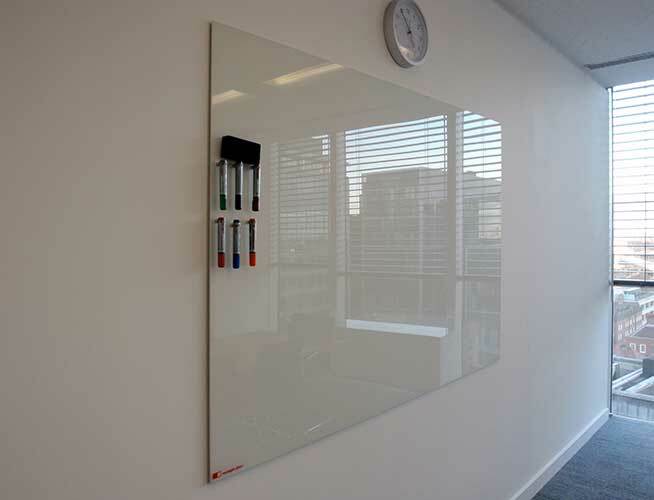 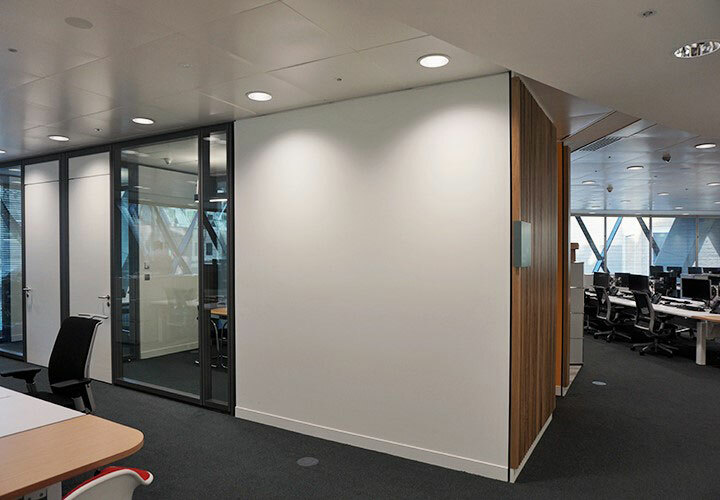 The ultimate joint free low cost walls can successfully be integrated with suitable provisions for integrating glass or solid partitions giving an overall clean design. 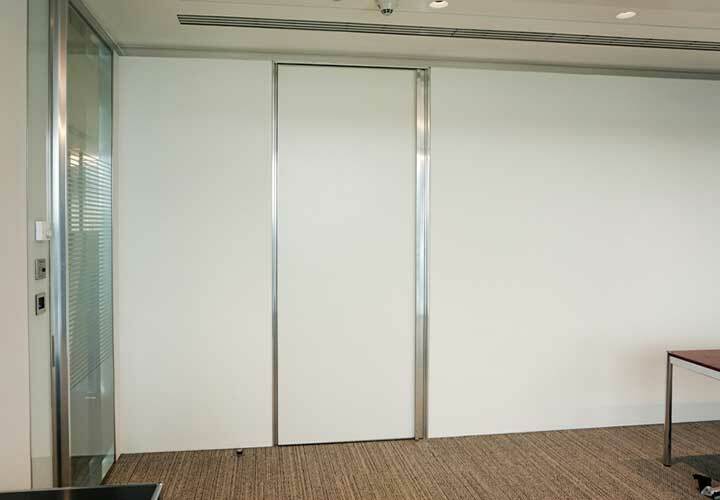 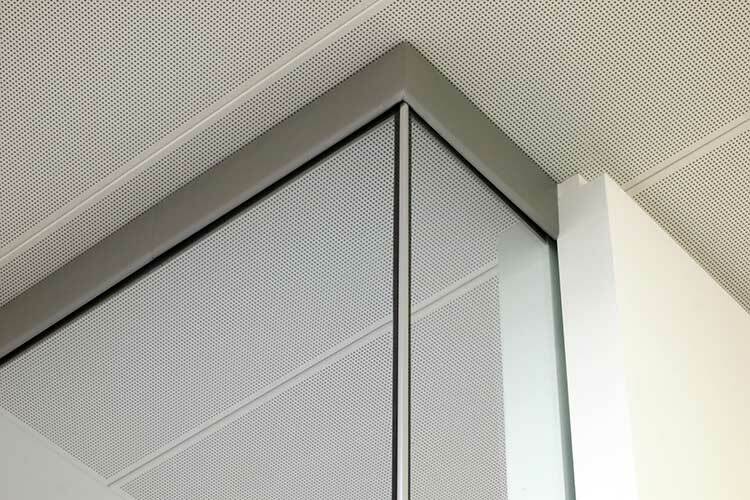 The integration can be developed to use the same horizontal profiles as the partition systems so as to carry the same panel lines and deflection characteristics. 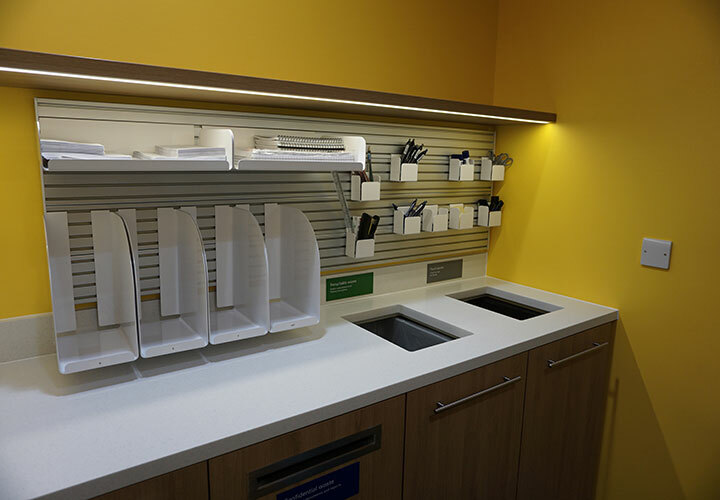 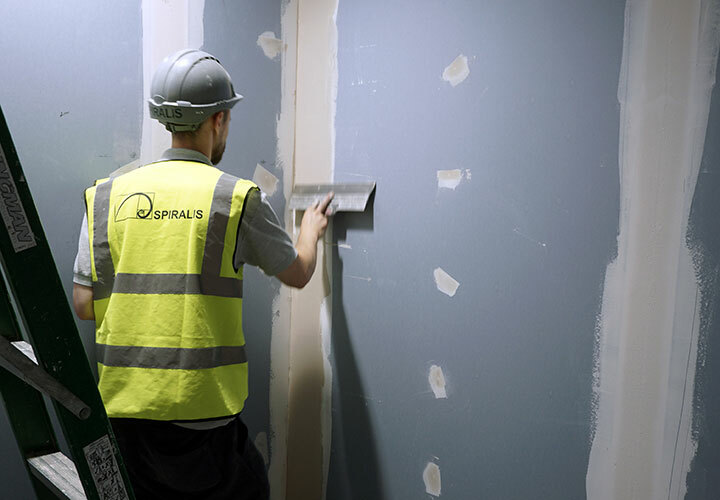 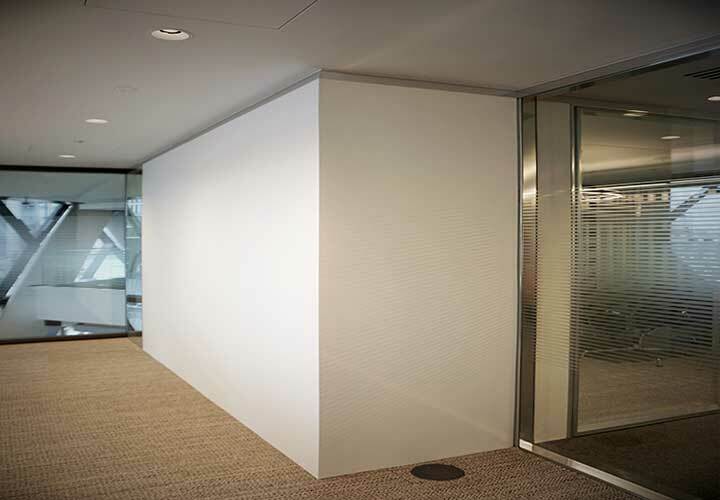 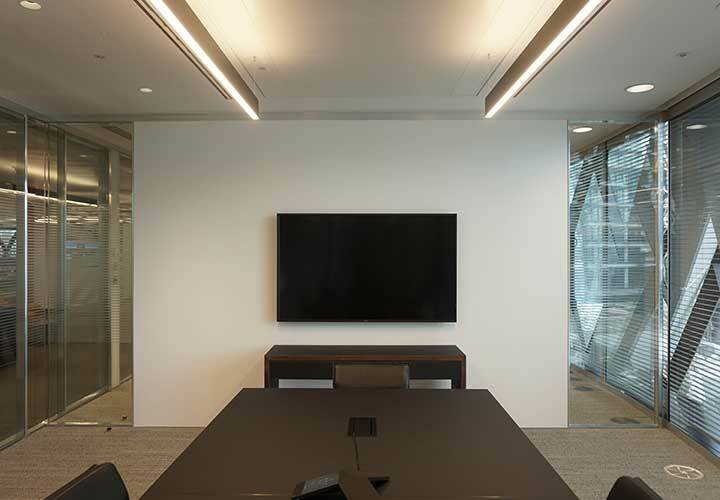 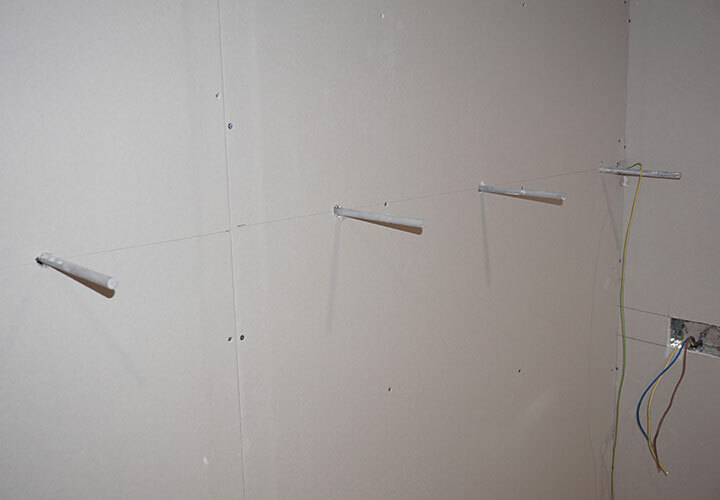 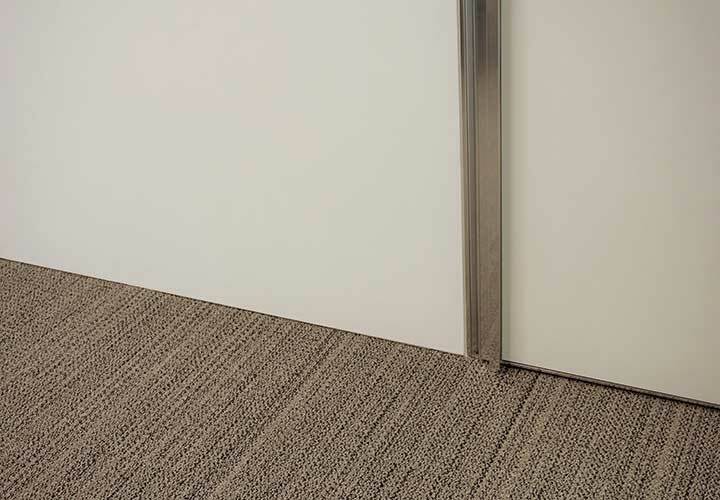 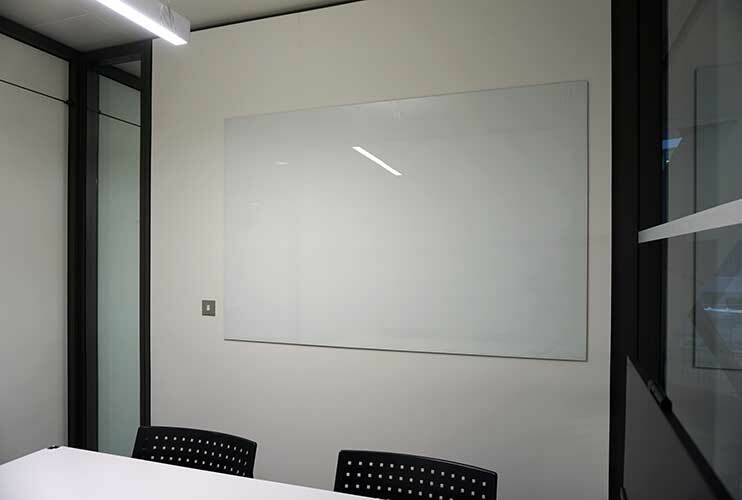 Drylined walls can be constructed with an internal plywood strengthening panel for attaching work walls, accessories, decorative features or for acoustic panels or linings.